Larvae feed on a variety of plants but particularly Briedelia penangiana and Erycibe coccinea. Mature larvae about 23 mm long, body is pale green with a darker green band on the side, some spiny processes present; head greenish-white with 2 black lines and spines. 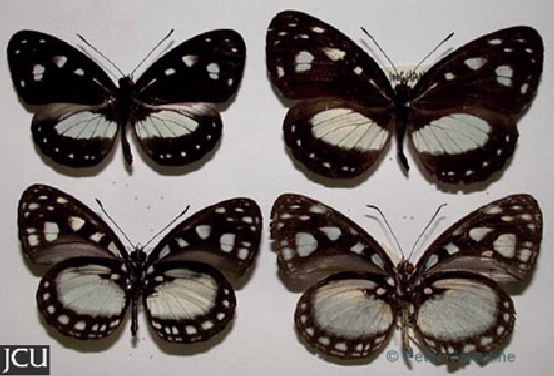 Adults are black with white spots particularly towards the margin, large central white area on hind wing. ; lower surface dull black with similar markings but more prominent.